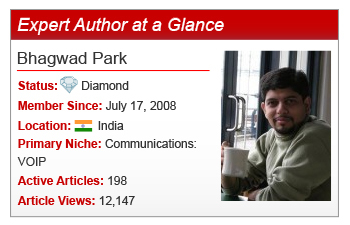 An expert technical and freelance writer, Expert Author Bhagwad Park commits to writing articles to keep readers (and therefore clients) happy! After earning a master’s degree in business administration from ICFAI Hyderabad, Bhagwad held many jobs and even ran his own business. However, just over 5 years ago, Bhagwad discovered he could harness his writing abilities to earn a living as an Expert Author to gain more personal freedom. Sticking to a strict article writing regime, Bhagwad writes in the same place, at the same time every day without distraction. Should writer’s block creep in, Bhagwad forces himself to churn out a few sentences to push through the obstruction. “The rest comes easily once the initial dam has been breached,” he commented. As a prolific freelance content writer, Bhagwad had insightful tips to share with fellow Expert Authors. Check out more highlights from our interview with Bhagwad below! Finding appropriate subjects: By involving myself in the field in which I’m writing and discussing it with others on forums. Avoiding distractions: I tell myself that even a small deviation from my attention span can waste half an hour of my time. It’s not easy. Not being repetitive: I always try and come up with something fresh based on new events in my field. This keeps my articles relevant. I have occasionally found the [Title Suggestions] tool to be useful. As well as the [Category Ranking] section for motivation! Be persistent. There’s no use in writing in spurts. Do what you can every single day, day in and day out. Persistence allows your clients to have faith in you, to trust you, and to know that you won’t suddenly vanish and leave them in the lurch. Avoid “article spinners” and “rewriters” like the plague. Keep your self-esteem and don’t put your name to something that is trash. Apart from that, it’s also spammy and you know that what you’re doing is deceptive and wrong. Discover how you can expand your article writing repertoire by incorporating Bhagwad’s tips in your own efforts. Do you have a question or comment for Bhagwad? Feel free to leave it in the comments section below. On My.EzineArticles.com? Add Bhagwad to your Network! I love writing but the one challenge I find is having the fee of joining this site hanging over my head if my articles are not up to snuff so to say in the “publishers opinion”. I`m not complaining but I`m reluctant to add anymore articles because of this. I still have one free submission left and I cannot afford a membership. So I`m kind of stuck between a rock and a hard place here and I don`t know exactly what I should do next. Please contact our Member Support team if you have any further questions regarding your membership. You can reach us by using the ‘Contact Us’ button within your My.EzineArticles account. Thanks for the tips but I have a problem with ezine. My article was not published because they think it is not American or British English. The article was written in good English. Really? Sorry to interject on this one, but this is the first time I’ve read of this type of comment. Where you from? What kind of English do you have? I am from the Philippines and can’t see a difference with my writing in English with that of an average American. Though I find nothing new here, but somehow it feels like a gust of wind that fills up a sail, making the boat move forward towards its destination. Bhagwad good publicity and awesome background. I’m amazed that you took your passion for writing to another level – despite the Masters degree that you have. I agree with your stance on article spinners and rewriters. I avoid them like the plague too! Lol… once again congrats! So far there is none of my articles approved by EzineArticles, I know my English is so poor that it’s very difficult for me to write a good article that EzineArticles can accept, I felt defeated and really envy you! Don’t despair my dear. Realizing and accepting your handicap wit the English language is a first step. The second, keep at it to improve. Read and read a lot to get the “feel” of what is good English. Get help from people who know better. If it doesn’t embarrass you. Dear Joaseph, I sincerely thank your enthusiastic response, you are very kind and helpful! You’re welcome. I hope I can be of help to you some more. Email me if you need some. Have a nice day. I really appreciate your concern, my previous account was suspended by EzineArticles, I can’t edit any of my articles, now I am only a common gust of your website, I love this website and I want to submit my own articles, but I think this is just a Utopian dream because of my poor English, I am wondering how to translate my Chinese articles into good English please? looking forward to your further reply. A member from our Support Team will be in contact with you privately regarding your EzineArticles account. Thank you for your constant support dear Vanessa! I have received an email from Jenna, I think she will help me solve the problem. Thanks your amazing guys again! I have read the whole story of Bhagwad. His success will inspire me a lot. EzineArticles has approved my two articles on the first submission. But I have been facing a difficulty in getting my next two articles approved. I have been editing and resubmitting them again and again. I don’t know whether they will accept them or not. I am totally confused. Can anyone from EzineArticles help me locate the mistakes in my unapproved articles? Wow, good achievement dear Bhagwad Park. Its quite amusing that you have gained diamond authorship from ezine. Keep up the good work. I like your suggestion to discuss topics in your niche with others in forums to keep having new topics and current information to write about.